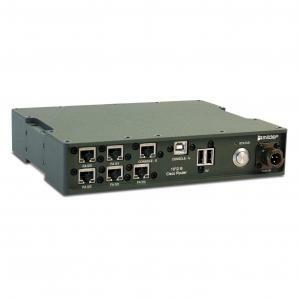 The 19”/2 Cisco Router RM201 is a high performance router in a compact and rugged design. It's based on the Cisco 5915 ESR card. It supports Cisco IOS and is configured through the standard Cisco CLI.